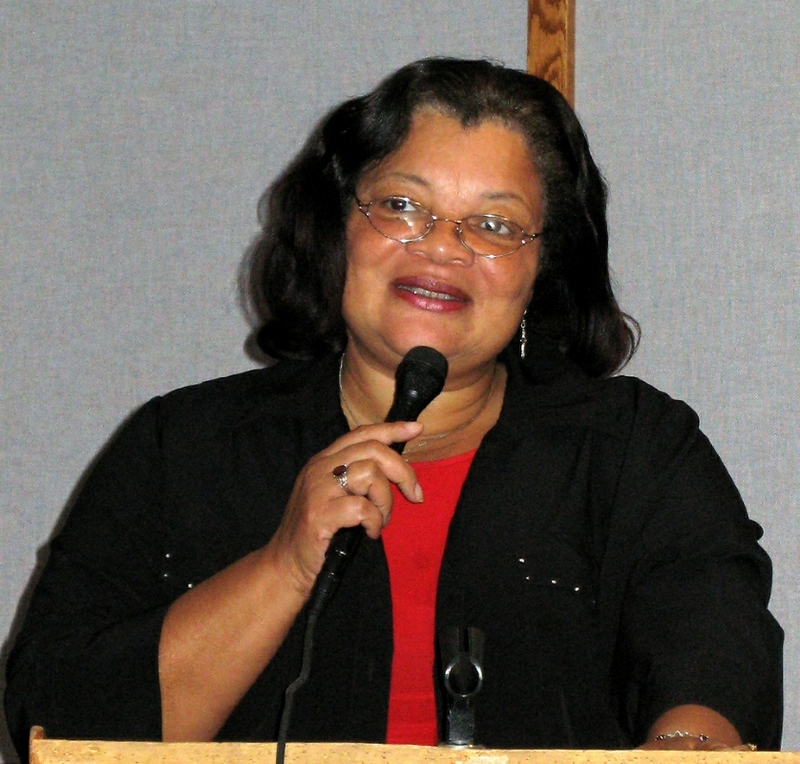 Alveda King (born as Alveda Celeste King in Birmingham, Alabama, U.S.) is a famous Clergyman from USA, she is 68 years old and still alive, born January 22, 1951. Alveda Celeste King is an American Christian minister, conservative, pro-life activist, and author. She is a niece of the civil rights leader Martin Luther King, Jr. and daughter of the late civil rights activist Rev. A. D. William King, Sr. and his wife Naomi Barber King. She is born under the zodiac aquarius, who is known for Knowledge, Humanitarian, Serious, Insightful, Duplicitous. Our collection contains 30 quotes who is written / told by Alveda. "We should recognize that women become mothers the moment they are pregnant"
"Racism oppresses its victims, but also binds the oppressors, who sear their consciences with more and more lies until they become prisoners of those lies. They cannot face the truth of human equality because it reveals the horror of the injustices they commit"
"If Senator Obama becomes pro-life then I'll consider giving him my vote"
"A woman knows a skirt-chaser"
"If Uncle Martin were here today, he would surely commend us for giving honor where honor is due"
"I've never called President Obama a racist. I love President Obama. I pray for him all the time. God loves President Obama. God loves you. And God loves me"
"African-Americans who might have disagreed with candidate Obama's left-of-center politics voted for him in 2008 because electing a candidate with brown skin was too historic an opportunity to miss"
"Let's be honest about this; the liberal agenda with failed stimulus plans and government entitlement programs is crippling our economy and our quality of life"
"America wants solutions. America wants a leader. No more tabloid politics"
"We have made great strides, but somehow we've got to create a climate so that everybody can do well, not just some"
"Many people who voted for Mr. Obama in the last election did so based on skin color"
"I simply cannot vote for Senator Obama because he's not pro-life"
"Abortion is an attack on the family and the humanity that unites us all"
"We're reclaiming America and restoring honor. I believe we do that with faith, with hope, with charity, and honoring our brothers and our sisters as we honor each other"
"Racism is a way to gain economic advantage at the expense of others. Slavery and plantations may be gone, but racism still allows us to regard those who may keep us from financial gain as less than equals"
"People need jobs, people need happy and successful lives; there should be marriage between one man and one woman, there should the value of person from conception until natural death"
"My Uncle, of course, would have been pleased to see someone with brown skin holding the office of president"
"It is statistically proven that the strongest institution that guarantees procreation and continuity of the generations is marriage between one man and one woman. We don't want genocide. We don't want to destroy the sacred institution of marriage"
"Abortion and racism are both symptoms of a fundamental human error. The error is thinking that when someone stands in the way of our wants, we can justify getting that person out of our lives. Abortion and racism stem from the same poisonous root, selfishness"
"When you see the political parties squabble, if a baby is not allowed to be born, all the other issues do not come into play"
"Mr. Cain would structurally change the voting demographic. There would be more black economic conservatives, and the Democrats would lose their stranglehold on the black vote"
"If we have an honest discussion on whether the war on poverty should be fought with welfare or with economic growth in the private sector, Democrats will lose black votes"
"Abortion and racism are evil twins, born of the same lie. Where racism now hides its face in public, abortion is accomplishing the goals of which racism only once dreamed. Together, abortionists are destroying humanity at large and the black community in particular"
"My daddy, Rev. A. D. King, my granddaddy, Martin Luther King, Senior - we are a family of faith, hope and love"
"A majority, perhaps as many as 75 percent, of abortion clinics are in areas with high minority populations. Abortion apologists will say this is because they want to serve the poor. You don't serve the poor, however, by taking their money to terminate their children"
"Racism springs from the lie that certain human beings are less than fully human. It's a self-centered falsehood that corrupts our minds into believing we are right to treat others as we would not want to be treated"
"President Obama is traveling around the country, proposing a stimulus bill that has already failed once. Instead of having an honest discussion about whether or not a plan that already failed once will fail again, the establishment would rather distract the American people with gossip"
"I have a dream that America will pray and God will forgive us our sins"
"Herman Cain continues to show himself to be a leader"